In the second year since I went to the world Grand prix for the second year Noriko Noriaki Abe became the prestigious Team · Roberts Ace's position. Machine suffered from Yamaha YZr 500. 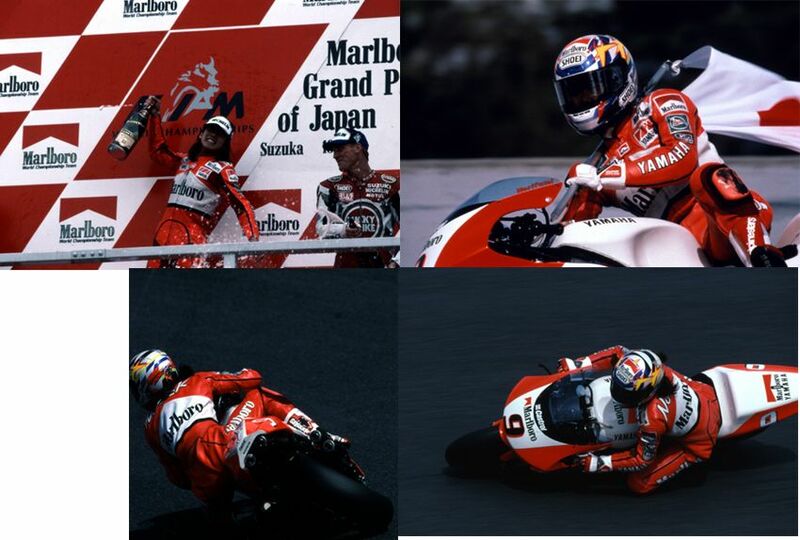 Although qualifying suffered as 11th place, in the final round it toured at a fast pace more than 1 second, Norick sprang through Suzuka, following the same powerful team, finally achieved the first victory of impression! As a Japanese, it was the first prize in the highest peak class that will be in 14 years. Grandpa's GP fans were moved touched by the finest pears of tears. Purchase as a record of Norick. Since Norick died, I bought it as a record.Tears came out when I was watching.It's amazing, this Riding.Bank angle not possible in this era.It is a memorial 1 pc. It is a race of GP first championship of a norick. Even if it sees how many times, it is a too uncanny angle of bank. It cannot be ... 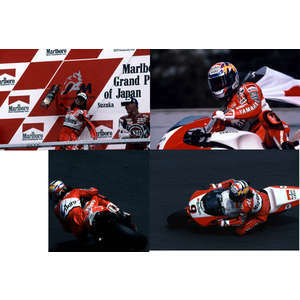 I think that it is DVD of which he repents absolutely if it does not get with 1994 Suzuka GP and the Norifumi Abe ? shooting star tradition ? which is put on the market on September 7.